April 30, 2008 0 comments on "Removing Sticker Residue from Clothing and Shirts"
Q: Help, we washed and dried my son’s school uniform and inadvertently left a sticker on the shirt. Now there is a big round sticky spot where the sticker was. Does anyone know how to get this out of the clothing? Tip #1: Spray spot with WD-40, then wash area with Dawn dishwashing liquid. Rewash in your washing machine. 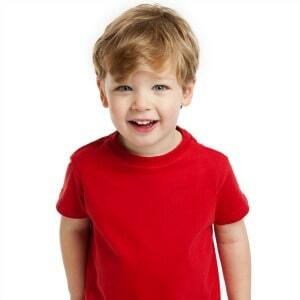 Tip #2: My daughter had left a sticker on a shirt and it had been washed and dried before I found it. I couldn’t get it out but was reluctant to throw it away. Then I found M-30 at our General dollar store…I was a little skeptical but I was tight on funds and it was only a dollar. You put it on and leave over night..then washes the sticky right out!!! You’ll be amazed!! I keep it on my shelf now always. It has removed dried in bubble gum and ink stains..even removed mold from some clothes that were bagged up wet and forgotten. Try it. But be sure to test for discoloration. I’ve never had a problem though. Tip #3: I use “Goo Gone” too. It works like a charm! Tip #4: The same thing happened to my son’s band shirt. I used a product named Krud Kutter. You can get it in the solvent area (near paints) in your local Walmart store. This stuff work on a lot of odd stains I could not get out of carpet, clothes and other stuff. It is great, even works on old stains. Like these tips? 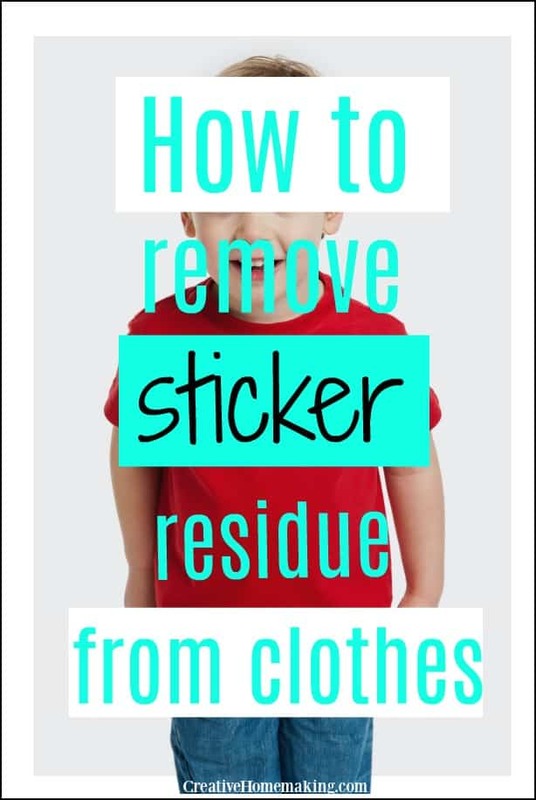 You might also like these tips for removing sticker glue from clothing and these 7 uses for Goo Gone you’ve probably never thought of.